Third round of talks between longtime rival Palestinian factions put on hold after Hamas blames Fatah for one meeting's failure. Reconciliation talks between longtime rival Palestinian factions Hamas and Fatah continue to stall, and a new planned round of meeting has been put on hold, the Ma’an news agency reports. The sides began a third round of talks last Wednesday in the Qatari capital of Doha, but they took a negative turn Saturday when Hamas accused Fatah over the failure of that day’s meeting surrounding the issues of employment and legislative council. 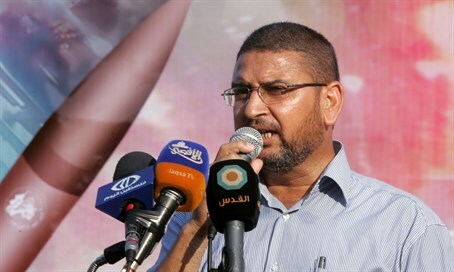 Hamas Spokesperson Sami Abu Zuhri said in a statement quoted by Ma’an that Fatah officials had allegedly recounted on previous agreements made in past sessions, something Fatah officials denied. Abu Zuhri added that the Fatah delegation did not complete the day’s scheduled meetings and withdrew during the second session. In the statement, Hamas held the Fatah leadership entirely responsible for “failing” the meeting, stressing that there was no” political will to achieve reconciliation” on part of Fatah. Fatah spokesperson Usama al-Qawasmi said in response that the delegation headed to Doha with a decision to end division based on partnership, democracy and forming a national unity government. Al-Qawasmi added that the Doha meetings showed that Hamas is “not ready yet for national unity and political partnership”, according to Ma’an. The latest setback is the latest chapter in the seemingly endless saga surrounding the rift between Hamas and Fatah, which have been at odds since 2007 when Hamas took over Gaza from Fatah in a bloody coup. The sides have continued their never-ending war of words despite a unity agreement signed in April 2014 which sought to end seven years of bad blood. A unity government between Hamas and Fatah collapsed last June when Fatah leader and Palestinian Authority (PA) chairman Mahmoud Abbas decided to dissolve it amid a deepening rift between the sides. In March, the two political parties also held reconciliation talks in Doha, with Fatah and Hamas delegations discussing implementations of a viable reconciliation agreement. The sides have continuously made accusations against one another as reconciliation attempts have failed, with PA Prime Minister Rami Hamdallah criticizing Hamas for creating a shadow government in Gaza and blocking efforts to reach political unity. Hamas has in turn accused the PA of executing a plan to "eradicate" the movement from Judea and Samaria, saying that an arrest campaign of over 200 members was carried out by the PA in an attempt to torpedo reconciliation efforts between the two factions.